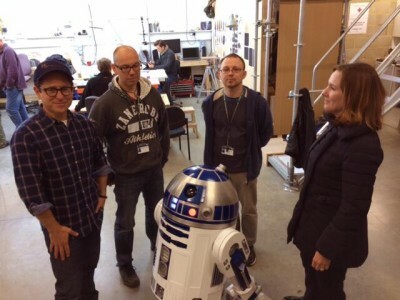 Just a few days ago we posted a twitter pic of JJ Abrams and Kathleen Kennedy at their workshop with R2-D2. 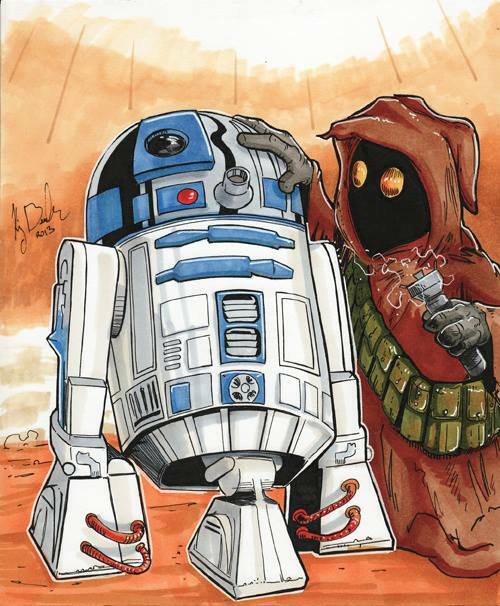 We thought that it was odd to see the droid with them and just assumed that he would make an appearance in the new movie. I mean, he’s been in all 6 of the movies so it would be strange to not see him carry on with the new group of heroes. But today on StarWars.com, it has been confirmed that he will be joining the cast, the first of the original cast to be confirmed for the next movie. This is the first behind the scene picture for Episode VII. So the new R2-D2 is done by fans, which is pretty awesome and they’re working hard to make sure that they can live up to the expectations that fans will have.